How to Use a Safety Razor – If you are looking the best tips in which you can learn how to use a safety razor properly, then you have come to the right place. 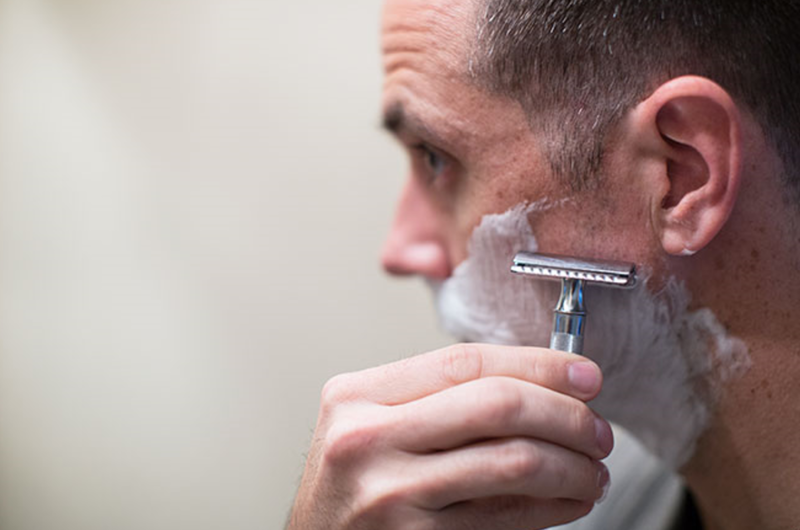 There are some good reasons why using a safety razor is better. While you can use an expensive cartridge razor, there is a lot of money that you can save if you use a safety razor. It is obvious that using a safety razor can save us a large chunk of change in the long run. Another benefit of using a safety razor is that it offers a healthier looking after use. Here are some simple tips that you must know if you want to learn how to use a Safety Razor properly. The first step is to prepare your facial hair. This step is very important as it can help you to soften your hairs. By preparing your facial hair, you can ensure that the hair can be cut easily and it won’t cause irritation. Simply shave your facial hair immediately after stepping out of the shower. However, if you don’t have time to shower, then wetting your face with warm water is also a good idea. Simply place a hot towel on your face. The next step is to apply the lather evenly across the face. You can take a coffee mug and place a nickel sized dollop of shaving cream. Now you can use your brush and swirl the cream around so that you can create a nice thick lather. To get the best result, make sure that you use a brush when applying the lather across your face. There are some differences between a cartridge razor and a safety razor. If you use a safety razor, you must know that it requires a bit of technique and finesse. Once you have learned the right technique, you can shave effortlessly with your safety razor. There are some important aspects that you must know if you want to get a successful shave. Check these aspects below. There is no need to apply too much pressure when shaving your facial hair as your safety razor can handle this one. In fact, if you apply too much pressure, it may lead to a cut. The last step is to apply cold water on the face. By using cold water, it can also help close your pores. Now you can use your favorite brand of aftershave and apply it to the shaved area. Overall, using a safety razor offers better results. If you have no idea how to use a safety razor correctly and then our tips here would help you a lot.